Spark of Amber FALL Giveaway 2013! Enter to win some GREAT prizes! We are excited at Spark of Amber to start our first annual Fall Giveaway. We hope to make this a yearly event. This giveaway will run October 1-October 15th. Entries will be by Rafflecopter (lots of ways to earn entries!). There is ONE lucky winner of all the prizes. Winner of the prizes will be randomly chosen October 16, 2013 and notified by email. NOTE: Contest is open to USA only, and is subject to all rules and guidelines required by law. 1) Spark of Amber Baltic Amber teething necklace. 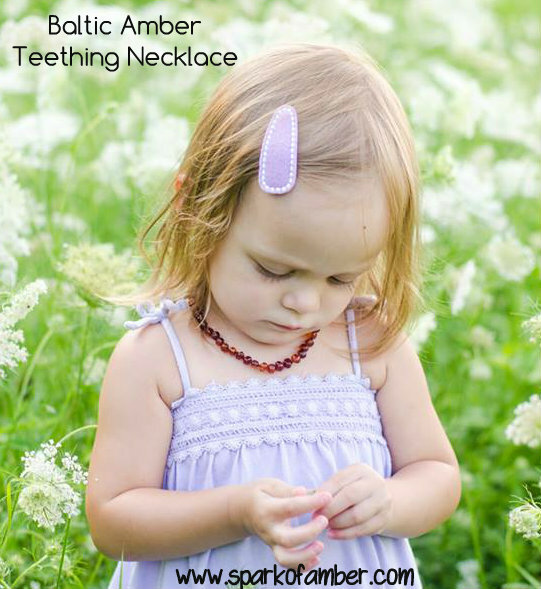 Spark of Amber sells Baltic Amber jewelry for all ages–teething necklaces, necklaces, earrings, bracelets, rings, pendants and more! The Spark of Amber teething necklace will be handcrafted of 100% authentic Baltic Amber. 2. 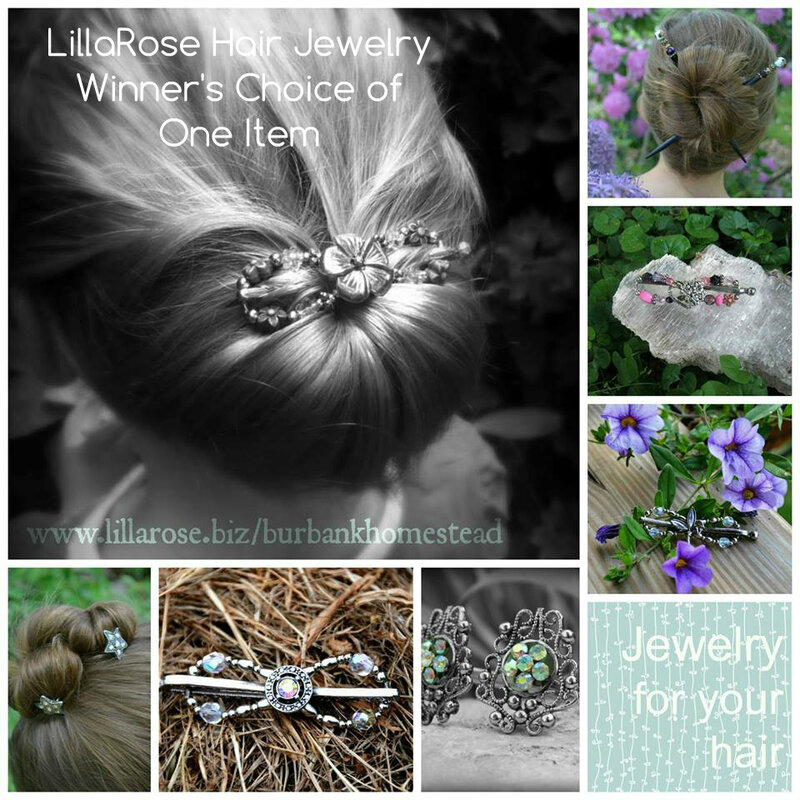 For Mom: Lilla Rose Hair Jewelry/Accessory of Winner’s Choice! If you are not familiar with Lilla Rose, you are certainly in for a treat. They sell stunning hair clips to match any outfit, embellished hair sticks to make putting your hair up more fun and easy, adjustable hair jewelry bands (no more too-tight headbands), and more! 3. 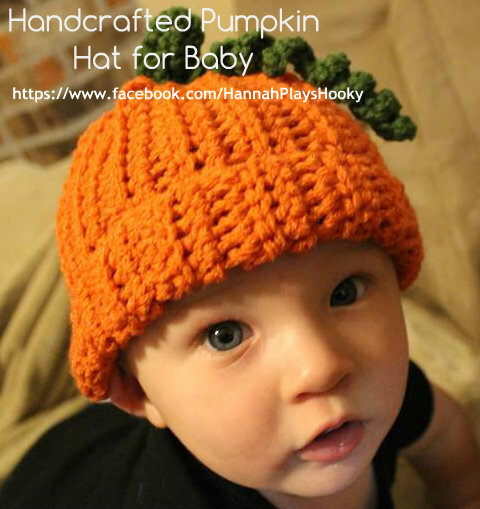 Just in time for fall and Halloween, an adorable handcrafted Pumpkin Hat from Hannah Plays Hooky. All items are made with love and care, and at Hannah Plays Hooky you are sure to find precious and warm items for you or your little one! 4. 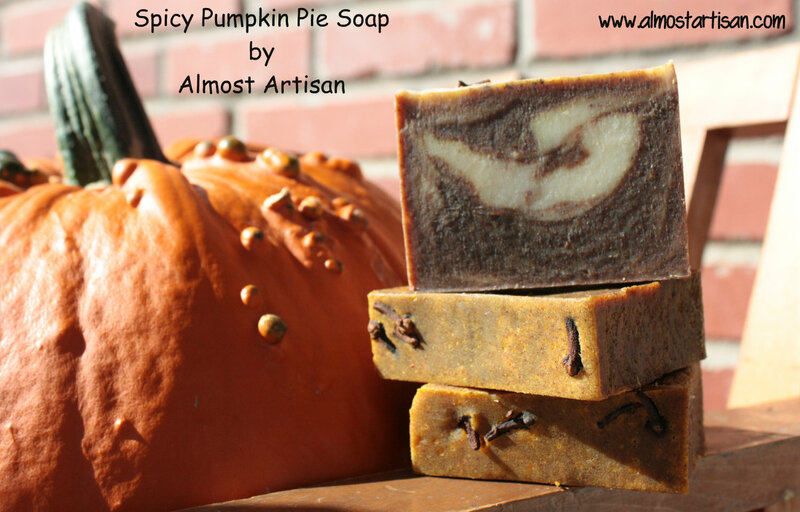 Wonderful scent of the season in a Spicy Pumpkin Pie soap, hand-made from Almost Artisan! Almost Artisan sells 100% Vegan soaps, free of harmful chemicals and sulfates! 5. 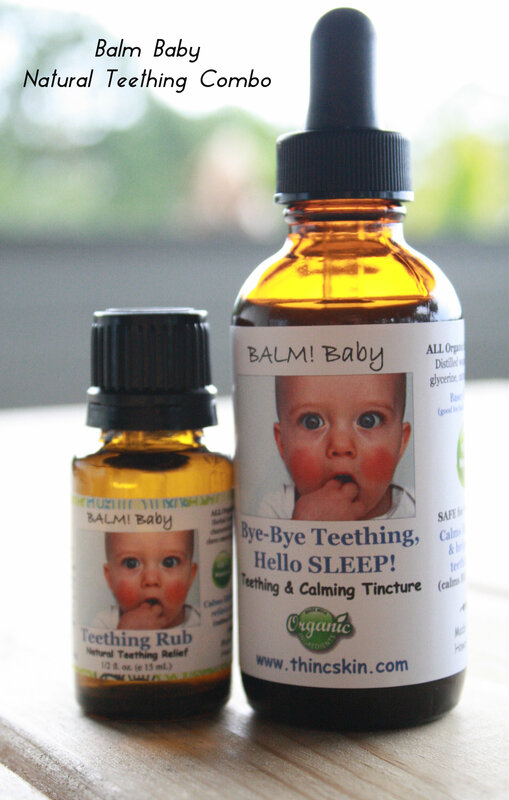 Natural Teething Combo Kit–Including Teething Rub to calm your fussy baby from Balm Baby. 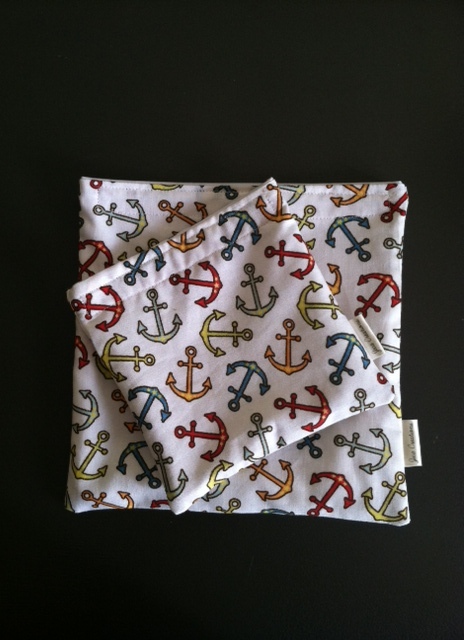 Balm Baby is also giving away some natural Cloth Diaper Detergent. With a strong commitment to eco-friendly, chemical-free, and natural products, all Balm Baby products are stored in plastic-free containers! 6. A beautiful hand-crafted small wetbag or snack bag set from Jeca Creations. The wetbag is 9X12 and can easily hold a couple of cloth diapers or soiled outfits. 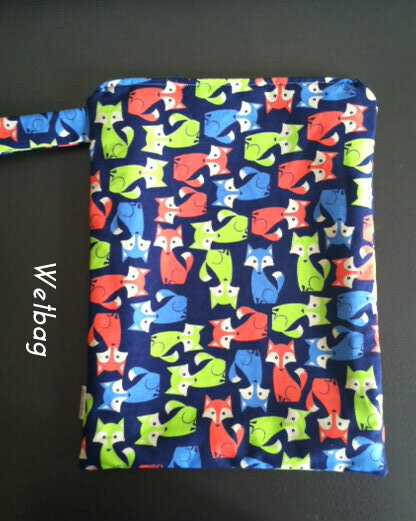 The outside fabric is a cotton blend, and the inside is PUL fabric. Zipper closure, and machine washable. The other choice is the snack bag set–great to store snacks, medicine, sandwiches and more! Jeca Creations offers a wonderful planet-friendly option to plastic bags. 7. Pretty Mommies natural facial cleanser, skin brightener and SPF 30 Sunscreen. Pretty Mommies unique and natural skin-care system works safely and effectively to address the most common skin problems associated with pregnancy. Relax and enjoy beautiful skin without harmful ingredients! Ready to win these awesome prizes? Well, it’s time! Use the easy Rafflecopter form below to enter. There are many options for entries! Also be sure to visit all our wonderful sponsors of this 2013 Fall Giveaway! Mom of three--two boys and a little girl. Founder of Spark of Amber (Sparkofamber.com). We sell authentic, stunning natural Baltic Amber Teething Necklaces and bracelets. We also sell calming Baltic Amber earrings, pendants, bracelets, anklets, and rings using only the best amber from Lithuania. Shipping is always fast and free in the United States. This entry was posted in Fall Giveaway 2013, SparkofAmber News, Special Offers at SparkofAmber, Uncategorized and tagged almost artisan giveaway, Balm baby giveawy, cloth diaper detergent giveaway, contest, crochet hat giveaway, fall giveaway 2013, giveaway, handmade pumpkin soap giveaway, Hannah Plays Hooky Giveaway, Lilla Rose giveaway, natural skincare giveaway, natural teething giveaway, sweepstakes, teething necklace giveaway, wet bag giveaway. Bookmark the permalink. 55 Responses to Spark of Amber FALL Giveaway 2013! Enter to win some GREAT prizes! I would love to win the Amber necklace or the baby detergent. I have several friends and a dil that are expecting soon. I would love to win the teething necklace for my baby girl, Charlie! Would like the necklace because my daughter will be getting her 2 year molars in soon. I would love to win the necklace for my daughter since the one she has now doesn’t fit anymore. It was a big help to her when she was getting her teeth in.